Need a reliable, supportive mat? The Body Sport Standard Yoga Mat fits the bill! This cushioned mat provides firm support and a nonslip surface, so you can do yoga, Pilates, and other fitness routines with ease. It’s phthalate-free for your safety–good for you and the Earth. The Yoga Mat is 72” x 24”, and ¼” thick, available in black or purple. 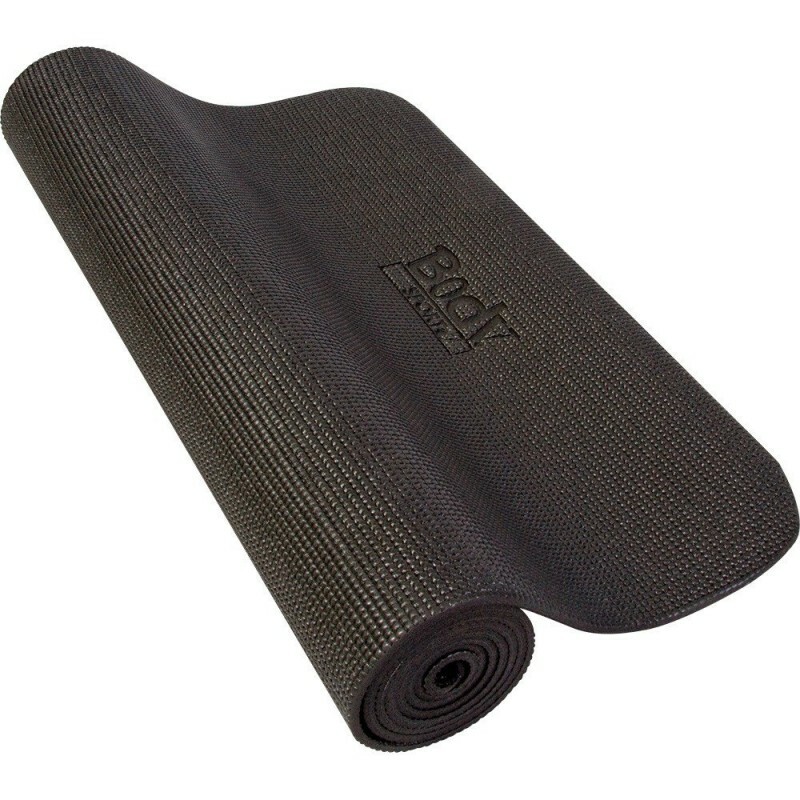 Work out safely and comfortably with the Body Sport Standard Yoga Mat. • Size: 72" x 24" x 1/4". • Ideal for yoga, Pilates and floor exercise.